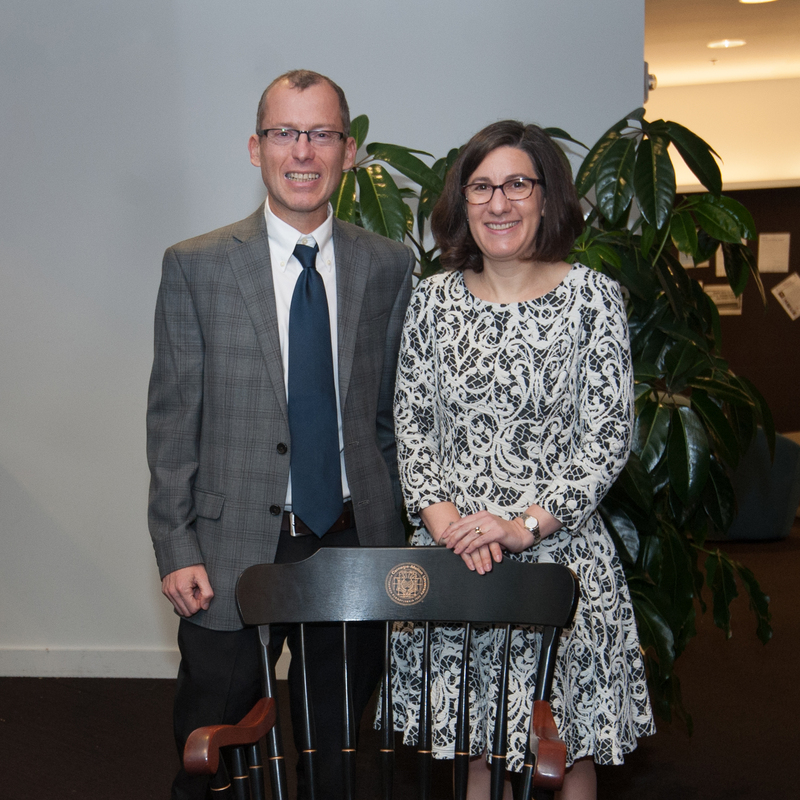 Ziv Bar-Joseph and Lorrie Cranor accepted FORE Systems Professorships during a Dec. 5 ceremony in the Gates and Hillman centers. Bar-Joseph is a professor in the Machine Learning and Computational Biology departments. Cranor is a professor in the Institute for Software Research and the associate head of the Department of Engineering and Public Policy. The founders of FORE Systems Inc., including alumni and former faculty of the School of Computer Science and the Department of Electrical and Computer Engineering, established the professorship in 1995 to support an SCS faculty member. Cranor, the FORE Systems Professor of Computer Science and of Engineering and Public Policy, is a leading researcher in both online privacy and usable privacy and security, and directs the CyLab Usable Privacy and Security Laboratory (CUPS). She is co-director of the Institute for Software Research’s Privacy Engineering master’s program. In 2016, she served as chief technologist at the US Federal Trade Commission. She is also a co-founder of Wombat Security Technologies Inc., a security-awareness training company. Bar-Joseph, the FORE Systems Professor of Computer Science, performs research in computational biology, bioinformatics and machine learning. One of his interests is how shared principles between computation and biology can be used to improve understanding of both fields. He heads the SCS Systems Biology Group, which develops computational methods for understanding the interactions, dynamics and conservation of complex biological systems. Ziv Bar-Joseph and Lorrie Cranor accepted FORE Systems Professorships during a Dec. 5 ceremony.